Since moving to Texas, I am constantly hearing how much bigger everything is here. I must concede, the bugs are definitely enormous! Yowsa. Curiosity got the best of me and my family about The Big Thicket, so we bounded our way over one weekend to check it out. Okay, I bounded, and my humans followed. They do have only two legs. The park lives up to its name, as it is very spread out, with over 100,000 acres protected, and 45 miles of trails. We chose the Kirby Nature Trail, just 2.5 miles east of the Visitor’s Center. This trail has several loops, and we opted to go around the longest one, approximately three miles in length. Thankfully, the weather was a bit cooler. I’m still adjusting to the Texas heat. 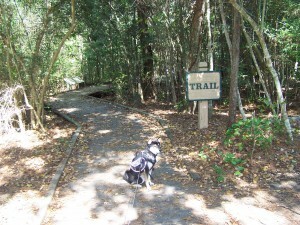 The trail is dirt and has wooden bridges that meander through cypress, palm, and pine trees, so it offers plenty of shade. Signs point out the different types of plants, but I chose to sniff instead of read. I breezed right by a snake, so they are out there; be aware and be careful. The water levels were really low in the creek, but we still enjoyed looking for fish. Fishing is permitted, although we didn’t partake. 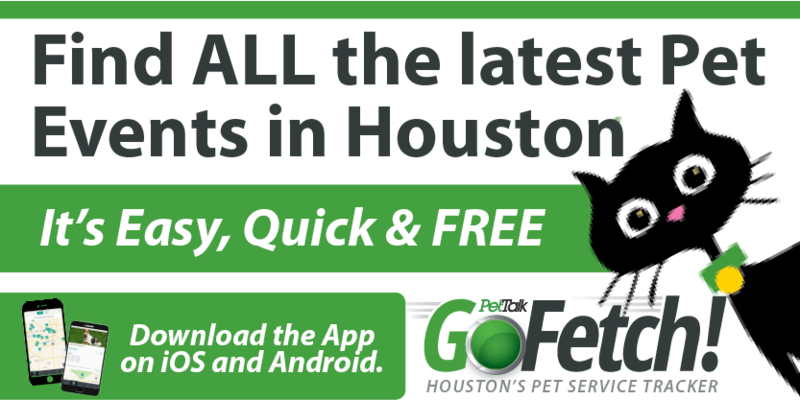 Your humans would need a Texas license, and all state laws apply. After our hike, we took advantage of the picnic area. Under the shade of trees, we enjoyed the sounds of nature and food. I love food. Although relatively easy to get to, with ample parking once you arrive, The Big Thicket was a bit of a letdown for us. We didn’t see much difference between it and Huntsville State Park, other than it is free. But we didn’t explore all areas, so perhaps we will go again another time and try a different section. I’m always up for adventures, and even a not-so-thrilling hike is better than no hike at all! Get out there!